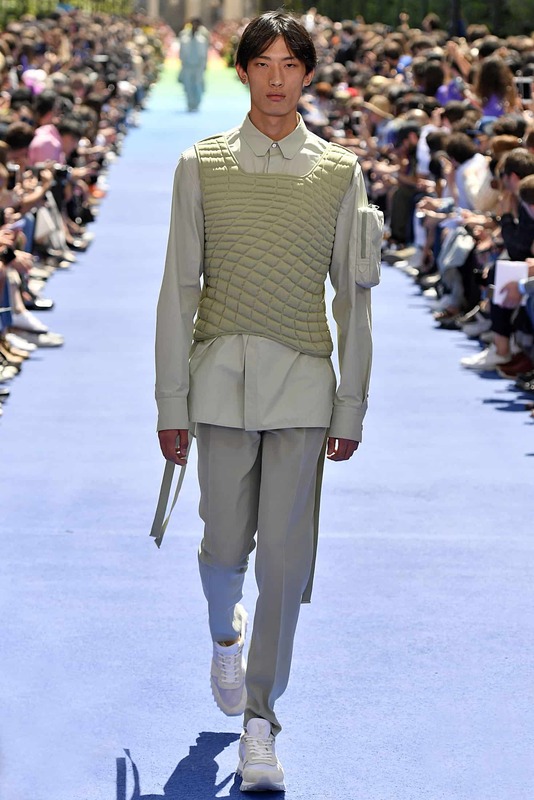 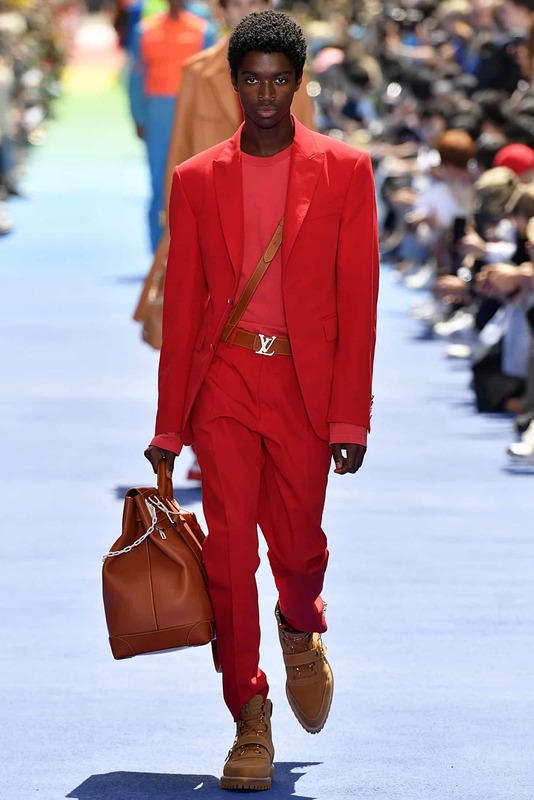 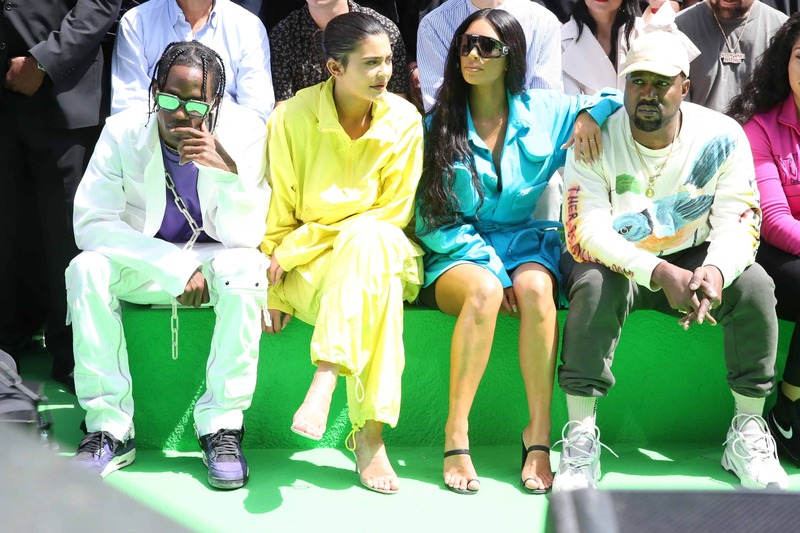 Virgil Abloh’s debut menswear collection for Louis Vuitton bowed in Paris today with Abloh’s friend and former boss, Kanye West, in the front row alongside his wife, Kim Kardashian, his sister-in-law, Kylie Jenner, and her baby daddy, Travis Scott. 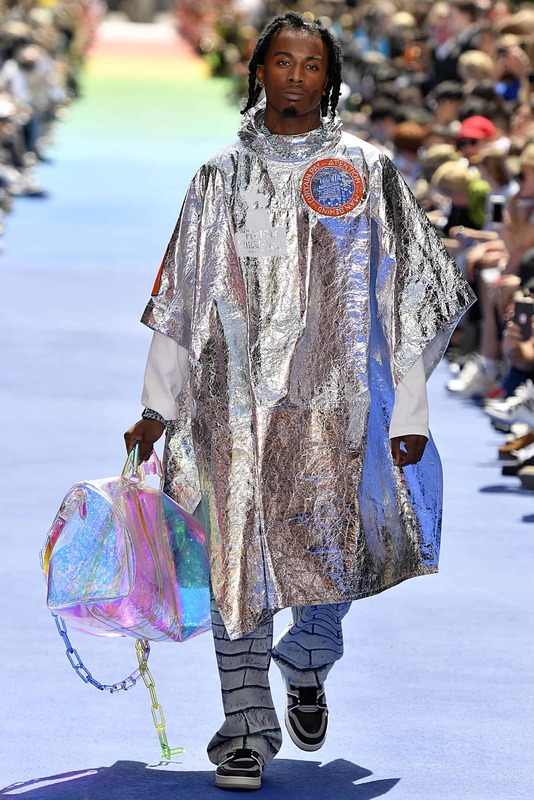 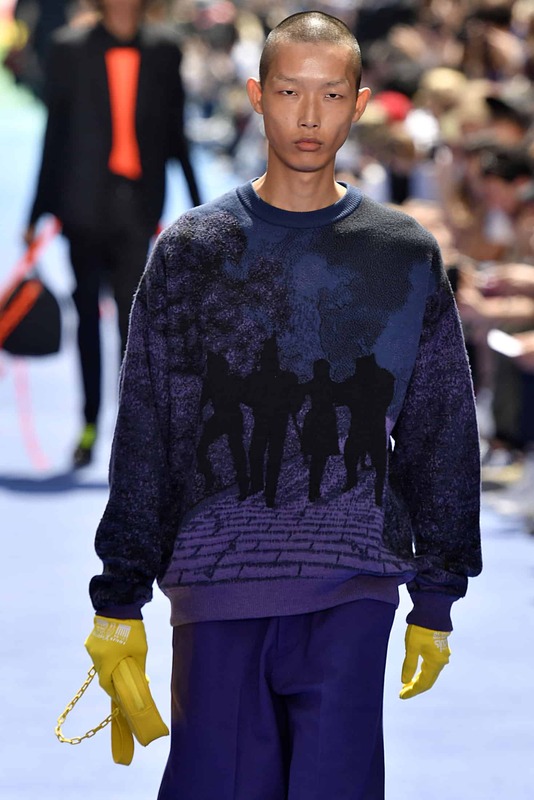 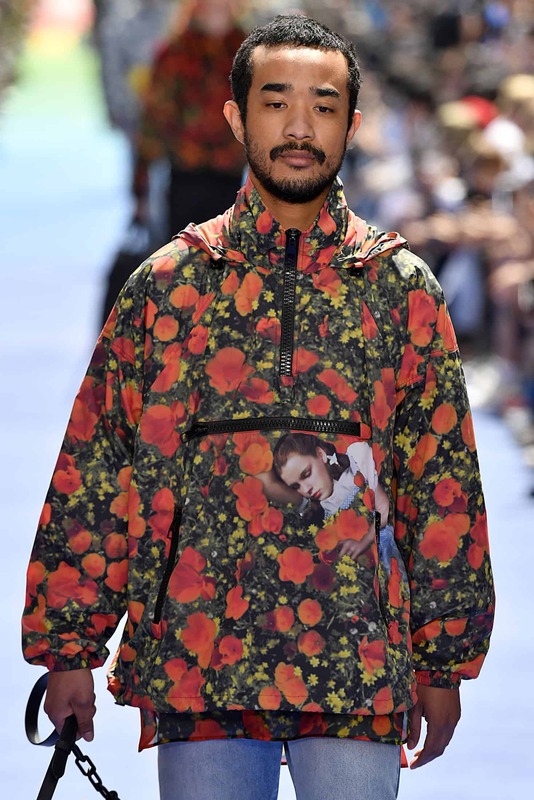 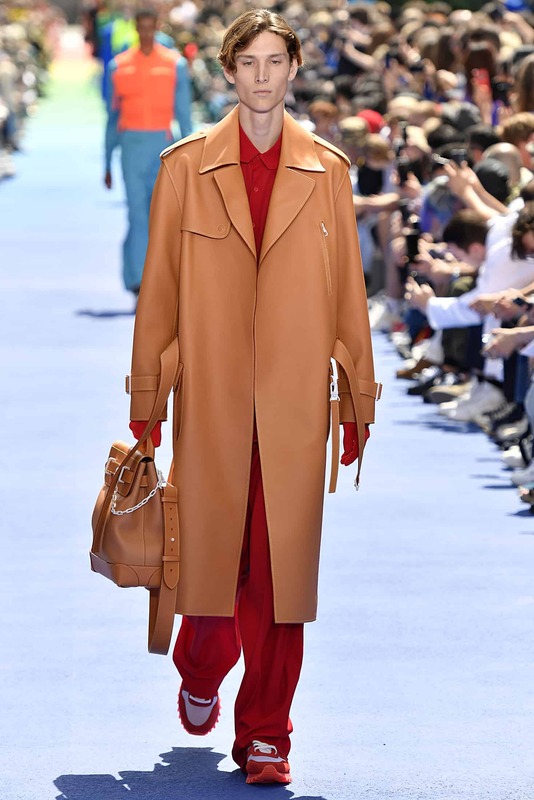 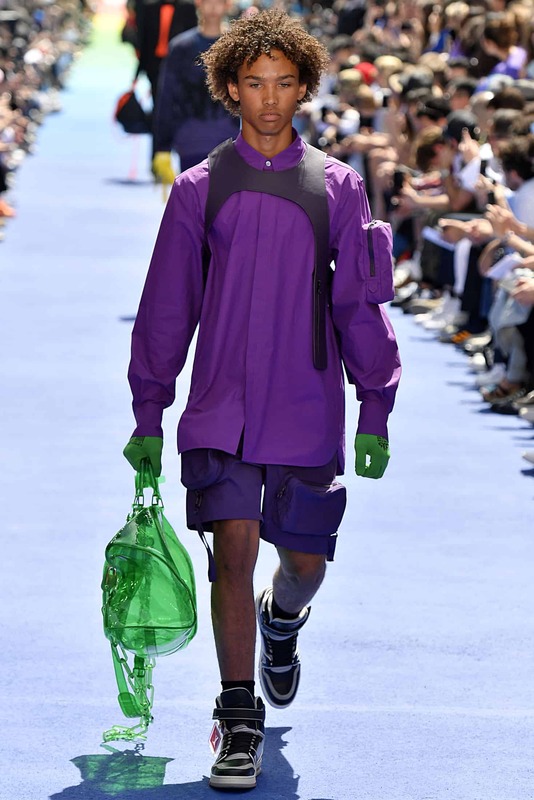 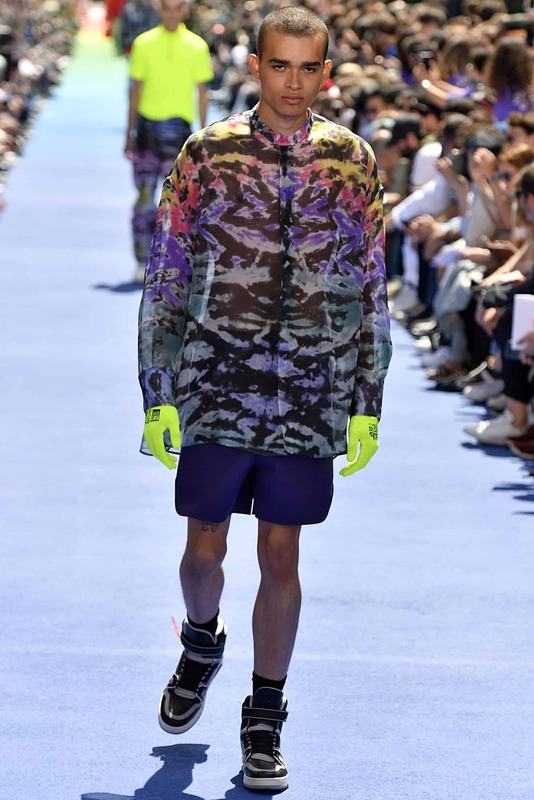 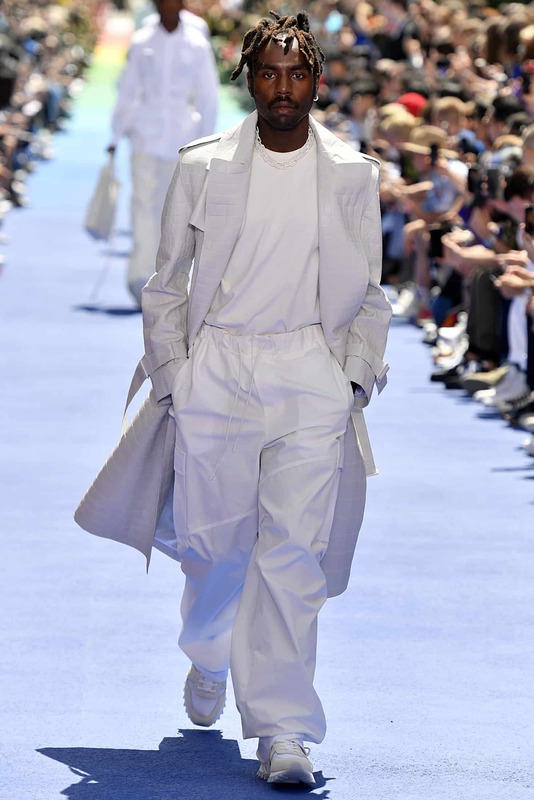 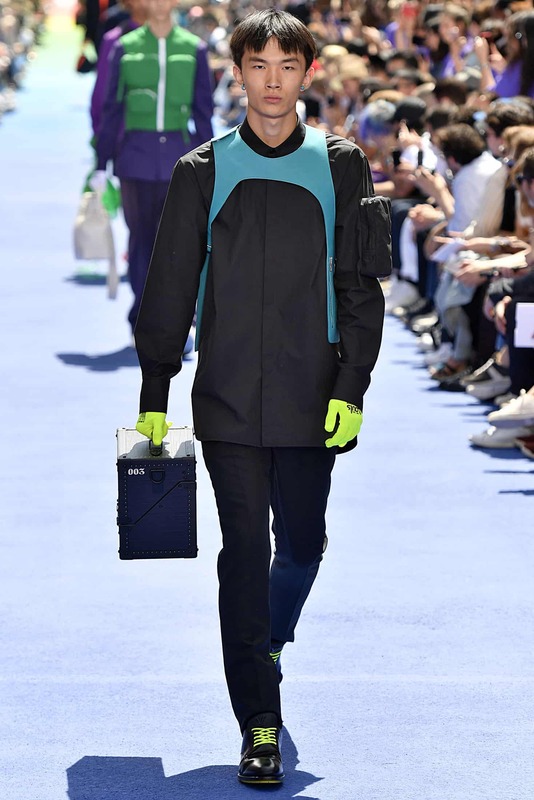 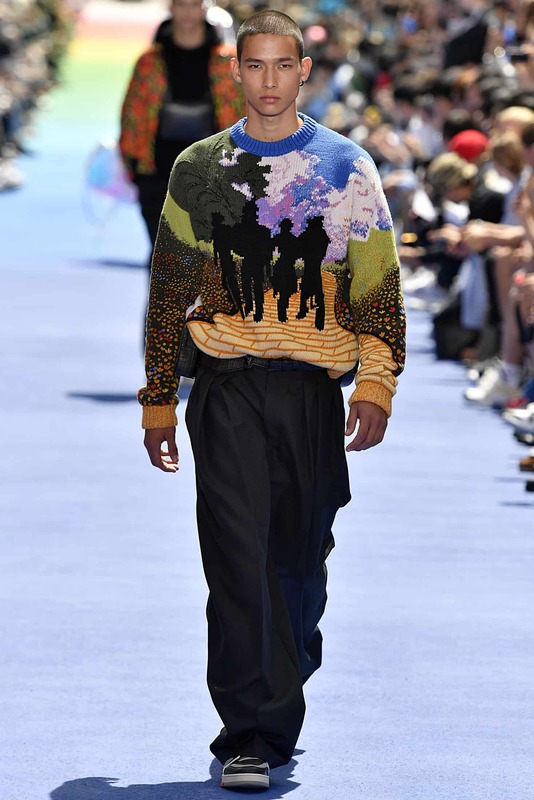 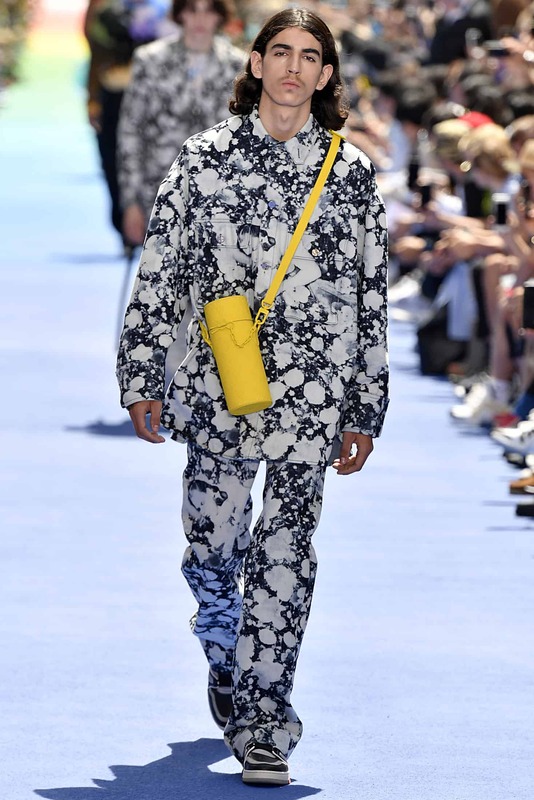 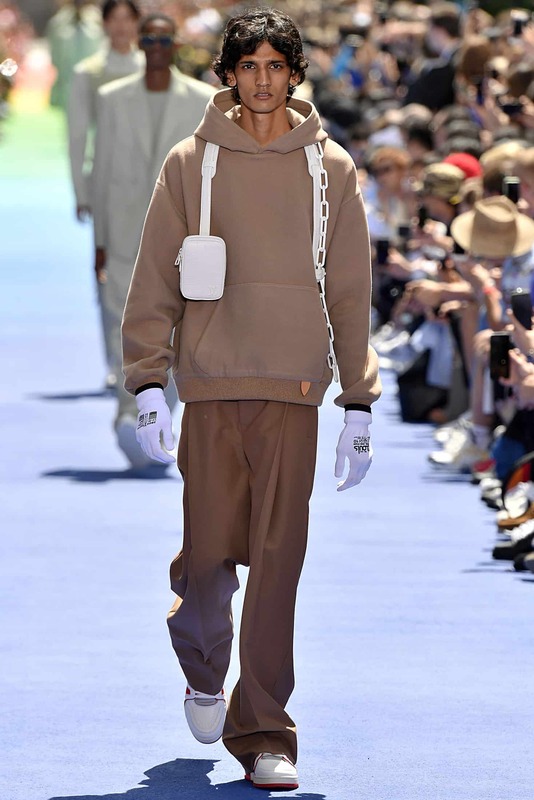 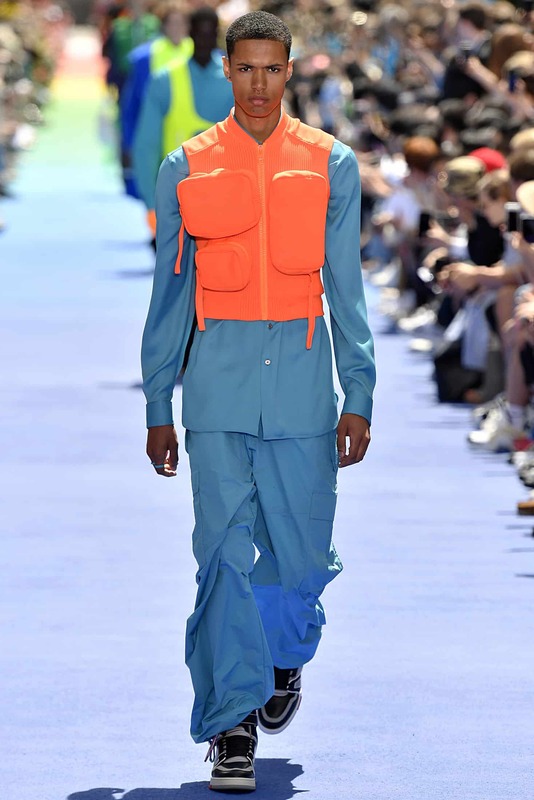 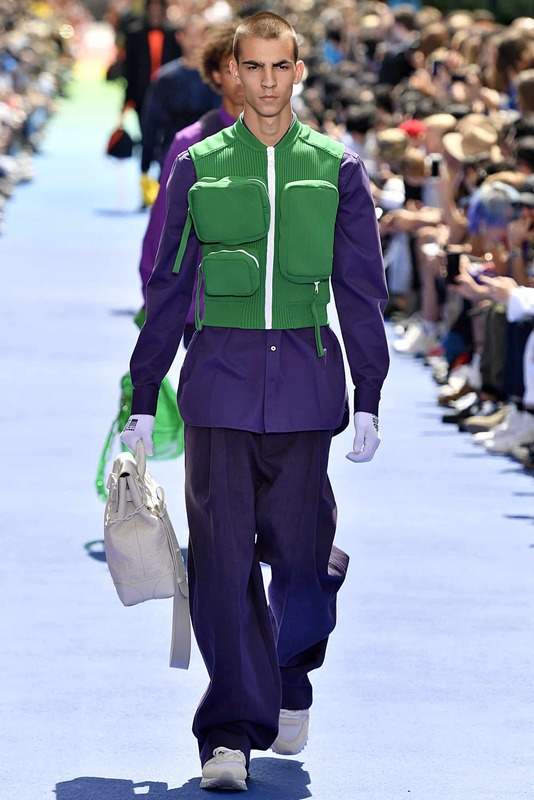 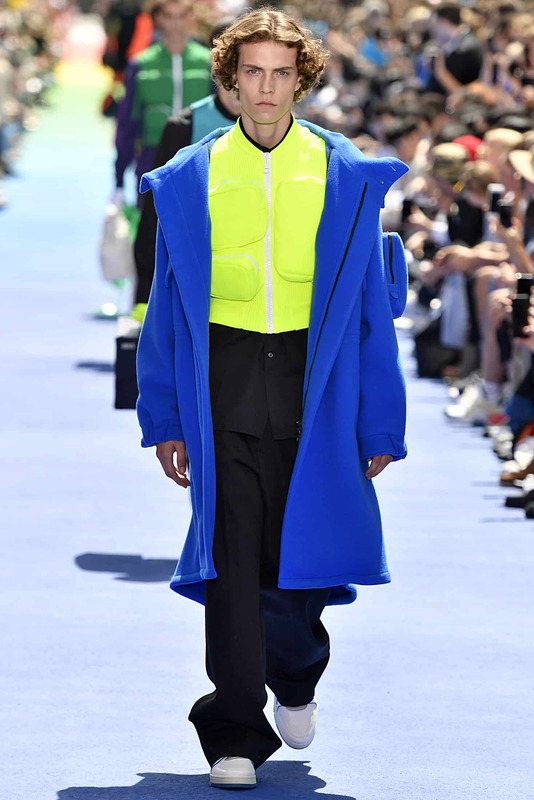 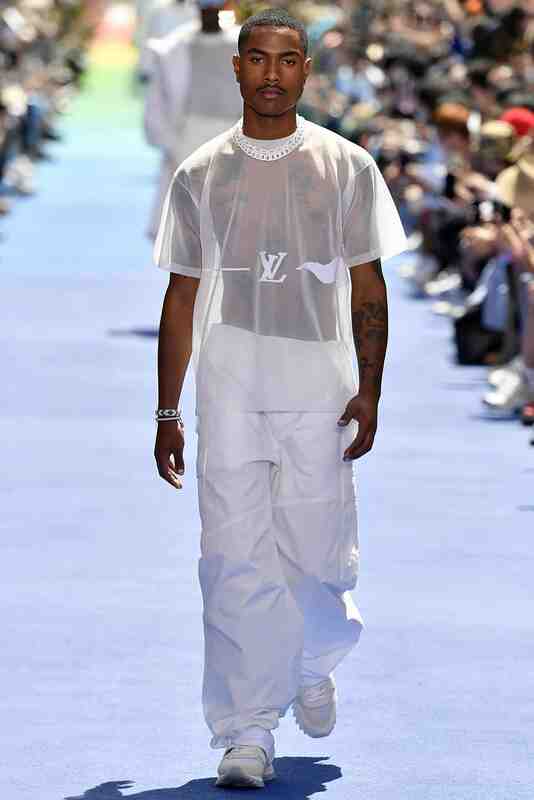 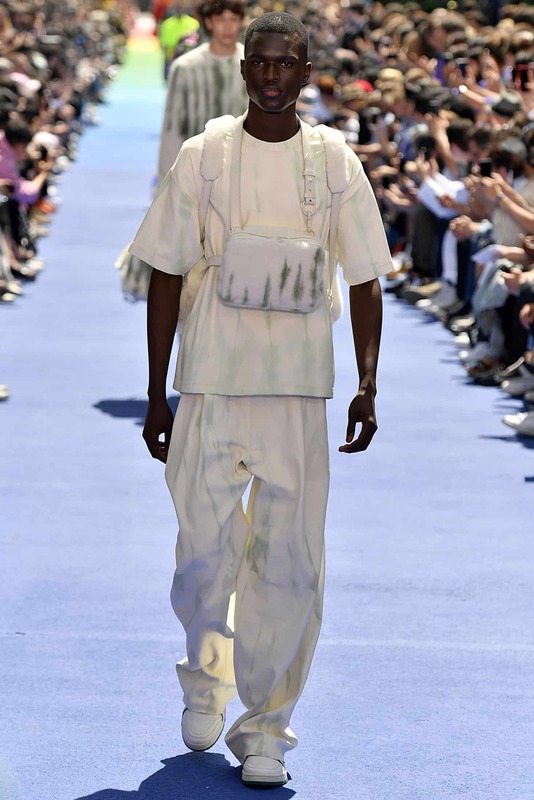 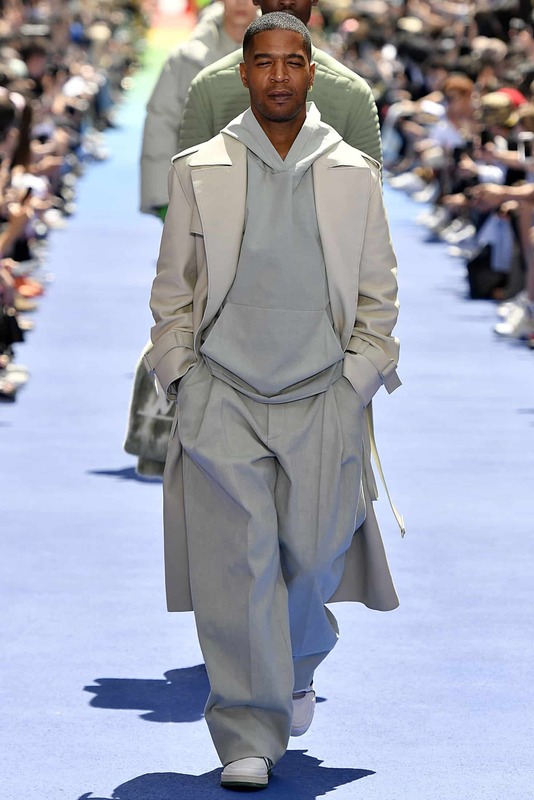 The show was full of bight, cheery, and largley monochromatic looks in a rainbow of colors, mostly on non-white models including Alboh’s musician friends Playboi Carti, Steve Lacy, Dev Hynes, and Kid Cudi. 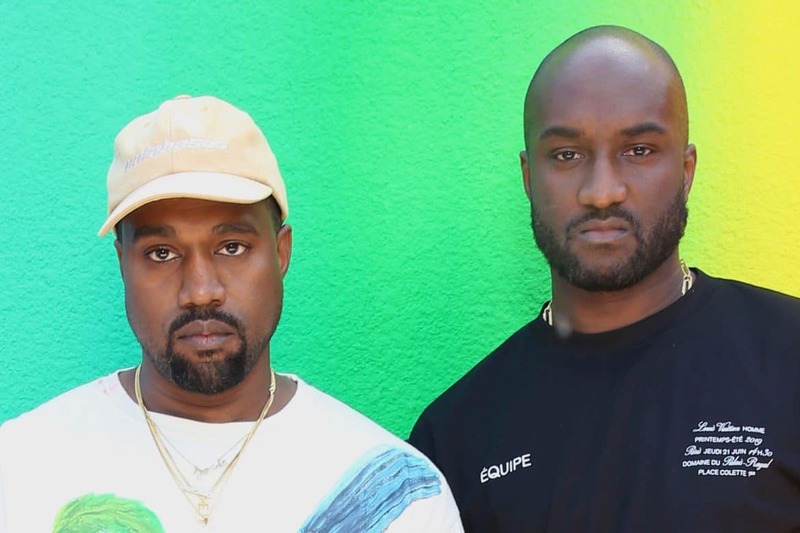 After the show, Abloh took an emotional stroll down the rainbow runway, stopping to share a tender moment with Kanye — the two men holding each other and fighting back tears in the wake of Abloh’s triumphant premiere at the helm of the world’s biggest luxury fashion brand.